Toddlers reach a particular stage when they seem to be constantly getting ill. 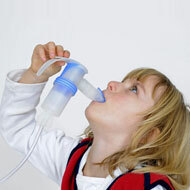 It is common to see toddlers contracting colds and other minor illnesses which are in actuality a part of growing up. Very often, there is not much that parents can do to avoid minor coughs and sniffles from taking place in their toddler. Toddler health is of primary concern to any parent and it is not an uncommon sight to see parents getting worked up over toddler injuries and toddler illness. Some of the best remedies that can work wonders for your toddler during a minor sniffle or a fever are to ensure that the child gets plenty of warm fluids and also rest during that phase. How To Stop Diarrhea In Toddlers? One important precaution to be taken while caring for toddlers during illnesses is that any specific illness can rapidly worsen in a toddler and hence it is always advisable to speak with your doctor if you are concerned about the symptoms your child displays. Some common toddler health issues include asthma, spasmodic laryngitis, chickenpox, nausea and diarrhea, and bladder infections. Some important toddler health tips that can help to make things easier for a toddler and for the parent. Making sure that all of the immunizations and vaccinations of the toddler are up to date. Prescribed and recommended immunization and vaccination shots are extremely critical in protecting the vulnerable toddler against grave diseases and bacterial infections. Immunizations are believed to be extremely critical and essential for the protection of your baby and for preventing the development of potentially grievous and life-threatening medical conditions. Do not attempt to offer the child over-the-counter or non prescribed medications in the event of a simple or minor cold. Most household medications can be extremely dangerous to toddlers and hence it is important that medications not be given to children unless under the advice of the child's pediatrician. Another important point to remember is that sometimes even herbal remedies can be harmful to the child, especially if you are unaware of any allergy reactions that the child may develop; and hence it is always best to check with a child expert in order to be on the safe side. Ensure that your child is not breathing in secondhand smoke at home as it can result in dangerous health risks especially to toddlers. If there is a smoker in the family, the child must be protected by keeping his or her room free of smoke and devoid of any pollutants. Refrain from using household sprays containing harmful chemicals such as mosquito repellents and room fresheners, especially if your baby is present in the room.